It was the mid‑'80s, synth pop was at its height, and in the process of creating a song with Chris Lowe that would subsequently mesh orchestral stabs, layers of keyboards, tons of echo, and assorted samples of Latin masses into one of the genre's most overblown, theatrically dramatic, disco‑oriented masterpieces, Neil Tennant vented against the conflict between guilt and desire engendered by his Catholic upbringing. Featuring a characteristically thin, coolly dispassionate Tennant lead vocal set against the backdrop of Lowe's splashy melodic mélange, 'It's A Sin' was the second Pet Shop Boys chart‑topper in the UK and the best‑selling European single of 1987, hitting number one in more than half a dozen countries and also making the top 10 in the United States. This, however, was a full three years after Britain's most commercially successful musical duo had first demo'd the track with Bobby Orlando (aka Bobby O). This Hi‑NRG New York producer helmed their earliest recordings, before they severed contractual ties with him, to sign with EMI's Parlophone label in March 1985. Having acquired a love of recording technology in his native Melbourne, Australia during the late '60s, Mendelsohn relocated to England just after leaving school in 1971. 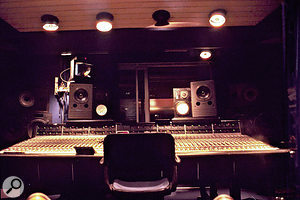 This wasn't out of choice — the move was necessitated by his widowed mother's marriage to a British diplomat — but within a couple of years, after recording voice‑overs and background music for a company that produced audio‑visuals for conferences, Sarm West Studios, Notting Hill, London.he landed an engineering job at the small Milner Sound studio on London's Fulham Road. It was there that owner John Milner, an ex‑BBC engineer, taught Mendelsohn the basics of mic placement, multitrack recording and tape editing. 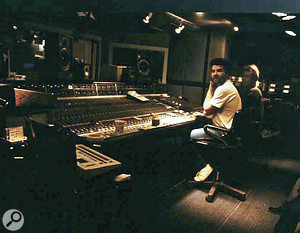 Following a five‑year stint that saw him work with anyone from actor Michael Hordern to vocalists Linda Lewis and Paul Rodgers, the Aussie ex‑pat made the transition from eight‑track to 48‑track in one fell swoop, when Jill Sinclair asked him to join the engineering team at her Sarm East facility in London's East End. Initially working alongside Gary Langan as a tape‑op/tea‑boy, Mendelsohn subsequently earned his recording andmixing stripes on projects with Yes, the Buggles, Nik Kershaw, Tracey Ullman, Bronski Beat, Bob Marley, Musical Youth, Frankie Goes To Hollywood, Go West, Kate Bush, ABC and Level 42. 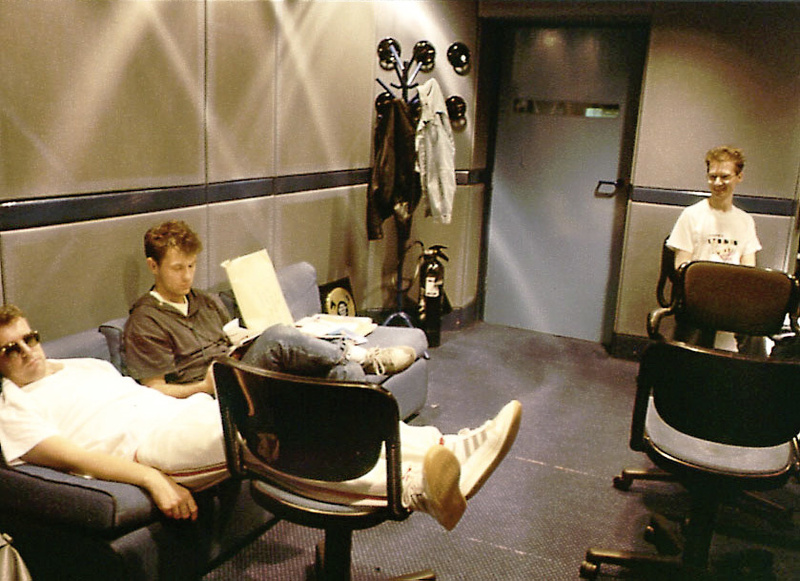 Neil Tennant and Chris Lowe in Sarm West's Studio 2 control room during the recording of Actually.And it was also a great place to observe and learn from the contrasting production methods of Trevor Horn and Peter Collins. Although more in tune with Peter Collins' style of working, Mendelsohn would find himself caught up in the Trevor Horn approach on 'It's A Sin', but not before he'd already gone freelance and been cajoled into producing and engineering the hit track 'Suburbia' from the first Pet Shop Boys album, Please, in 1985. While Stephen Hague produced and engineered most of Please, he did the same for only a few of the 10 tracks on Actually. One of them was 'What Have I Done To Deserve This?' which featured Neil Tennant duetting with soul icon Dusty Springfield on a number about the mundane lives of bored '80s yuppies; 'Heart' was helmed by Andy Richards and mixed by Julian Mendelsohn; and Mendelsohn produced and engineered 'One More Chance', 'Shopping', 'Rent', 'Hit Music' and 'It's A Sin'. While 'What Have I Done To Deserve This?' was mixed by Mendelsohn, Hague ended up remixing 'It's A Sin'. 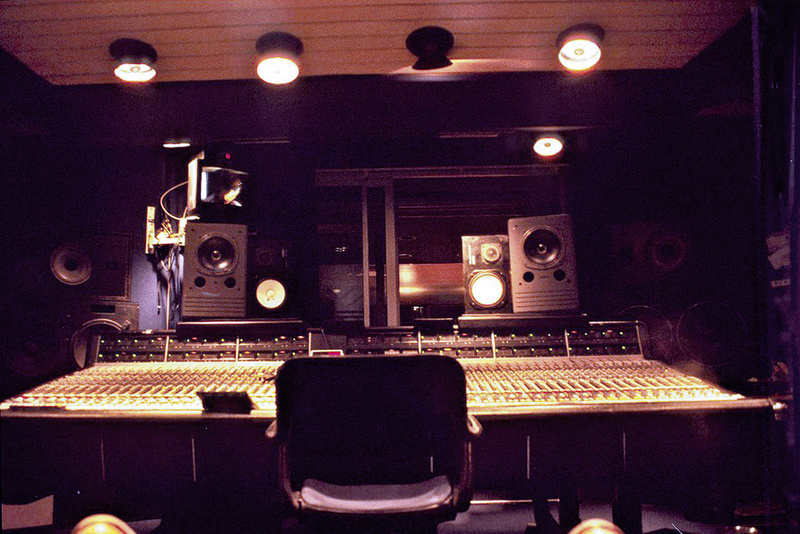 The venue for all this work was Sarm West's Studio 2, which housed a 48‑channel E‑Series SSL and a Mitsubishi X850 digital 32‑track. And in line with his preferred method of working, Mendelsohn had the Pet Shop Boys and their programming colleagues — including Richards, JJ Jeczalik and Gary Maughan — record the songs piecemeal. That way, they could constantly switch between tracks rather than complete one before commencing another. A case in point was 'It's A Sin', which, according to Mendelsohn, involved so much input on his part that he lost his objectivity on a couple of occasions and also lost his way. The control room in Sarm West's Studio 2. The 1984 sub‑six‑minute demo of the song, as produced by Bobby Orlando, is similar to the finished record in terms of melody, tempo, and even Neil Tennant's vocal, but it lacks the atmospherics and drama of the released version: no NASA countdown, no choral chanting, no Latin mass, no cracks of thunder. Still, it was more than enough to serve as a template, and when work commenced on this at Sarm West, the track's general framework was quickly established. "We started with the bass line and drum pattern and then began adding keyboards,” Julian Mendelsohn recalls. "A lot of that was Fairlight, some of it was Roland rackmounted units, and after we recorded a guide vocal with a Neumann U87 we just built the track up from there. At one point, I remember taking a Nagra to Brompton Oratory [nickname of the Church Of The Immaculate Heart Of Mary on Brompton Road in South Kensington]. So that may be where we recorded the Catholic mass. "The whole overblown production style was them telling me they wanted it overblown. And I was quite good at being overblown at that time. So was Andy Richards, who could be quite over the top. He did a lot of the programming on [Frankie Goes To Hollywood's] 'Relax' and a bit on 'Two Tribes', so there was a fair bit of Andy in 'It's A Sin'. He created that thunder sound on a Roland keyboard, and as things kept getting added, the two of us got quite carried away. There was no game plan; we just tried things, and if they worked, they worked, and if they didn't, we chucked them. 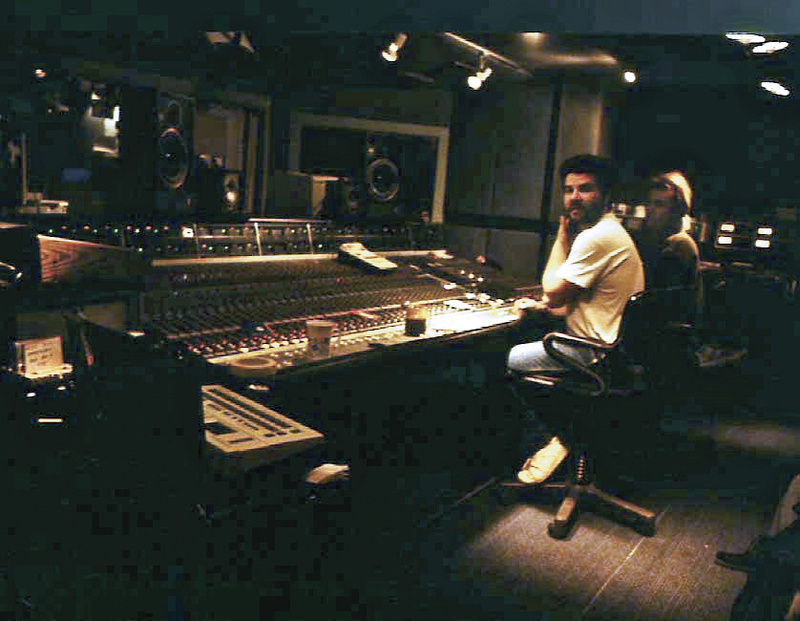 "My role as a producer on that album was just getting it all recorded. I also made a few suggestions here and there — you know, 'We can get a better sound for this' or 'Try singing that part again.' In those days, Neil wasn't a great singer and he knew it. So, there was always a bit of work involved in getting his vocals right. He's improved a hell of a lot since then. Julian Mendelsohn (left) and assistant at Sarm West, 1987. "I always recorded things the way I wanted them to sound, so I never changed much in the mix. I mean, if you're not recording something the way you want it to sound in the end, what are you doing? You might as well get it right to start with. Neil and Chris would normally leave the studio at around seven or eight o'clock every night, giving us a list of things they'd like us to do, and then they would come back the next morning and tell us what they did and didn't like. So, that's how we'd develop a track, adding things all the time, and we would know when we had enough. In fact, we'd often have too much, which is why we would also dump some stuff. "The five tracks I did on that album took a total of about eight or nine weeks to record and mix, and after that I had to leave for a project with Level 42. Then, when I returned two or three weeks later, I was told that Stephen [Hague] had been given a shot at mixing 'It's A Sin' and that was the mix they were going to use. He did a couple of neat little things, including dropping half a bar halfway through each verse to create a turnaround effect. I know that wasn't in the mix I did, but none of that bothered me. What was good was good. Some engineers used to get really upset when other people mixed their stuff, but I wasn't like that. All that mattered was everybody being happy with the end result. "Still, even though Stephen's mix was the one that became a hit and was a bit more clever than mine, it was my one that actually sounded better. You could hear separate things jumping out at you and it had greater dynamics and a fatter sound, but it also got a bit boring from about halfway through the track and didn't maintain the interest as much as Stephen's mix. By bringing a pair of fresh ears to the proceedings, he was able to zero in on what the track needed. "The exact opposite happened with 'What Have I Done to Deserve This?' Stephen had been working on the track for a week or two and was bored with it, and my fresh ears did the trick. You see, even though Dusty was a great singer, she was very long‑winded when it came to getting the vocals right to her own satisfaction. In fact, when we did 'Nothing Has Been Proved' with her for Scandal, the film about the Profumo Affair, it really was like pulling teeth. She actually had a plan as to how she was going to sing the song from beginning to end — it wasn't random — but she'd only make it so far and, if she didn't get the last couple of words right, she'd say, 'No, I've got to start again,' because she wanted to do it all in one go. 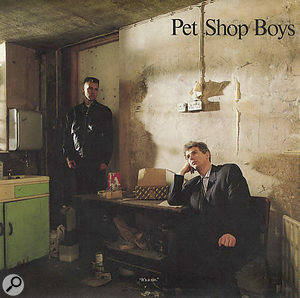 Following the November 1986 release of Disco, a collection of remixes of tracks from Please and the respective B‑sides, Actually was the third Pet Shop Boys album but only the second to feature entirely new material. Issued in September of 1987, it sold over four million copies and spawned four UK top 10 singles: 'It's A Sin', 'Rent', 'What Have I Done To Deserve This?' — which, peaking at number two in both the UK and the US, was the biggest hit of Dusty Springfield's career — and a remixed version of 'Heart' that turned into another UK chart‑topper. "For the first year after I finish a record, I'll often listen to it and think, 'Oh God, why did I do this bit here? I should have done that,' but then I'll forget about all those little things that really wouldn't have made any difference,” says Julian Mendelsohn. After producing more Pet Shop Boys material — including the hit cover of 'Always On My Mind' — he mixed 1990's Behaviour album and worked with the likes of Paul McCartney, Tasmin Archer, INXS, Fine Young Cannibals, Aztec Camera, Del Amitri, ABC, Go West, Kate Bush, Simple Minds and Liza Minnelli (who he co‑produced with the Pet Shop Boys). Having relocated back to his hometown of Melbourne in 2005, he is currently recording a second album with New Zealand band the Glorious and doing work for various other local artists. Following the June 15th, 1987 release of 'It's A Sin' and the single's subsequent three‑week stay atop the UK chart, DJ, producer and TV presenter Jonathan King used his regular column in The Sun to accuse the Pet Shop Boys of having crafted their latest hit by stealing the melody from Cat Stevens' 1971 recording of 'Wild World'. Then, never one to do anything by halves, especially when he could cause controversy and attract attention to himself in the full glare of the public spotlight, King tried to substantiate his claim by recording and releasing his own cover version of 'Wild World'. This utilised a similar arrangement to 'It's A Sin' but, despite his best efforts to discredit the electronic dance‑music duo, King's single was a flop. Evidently, no one really cared... that was, aside from the men actually being accused of the plagiarism. 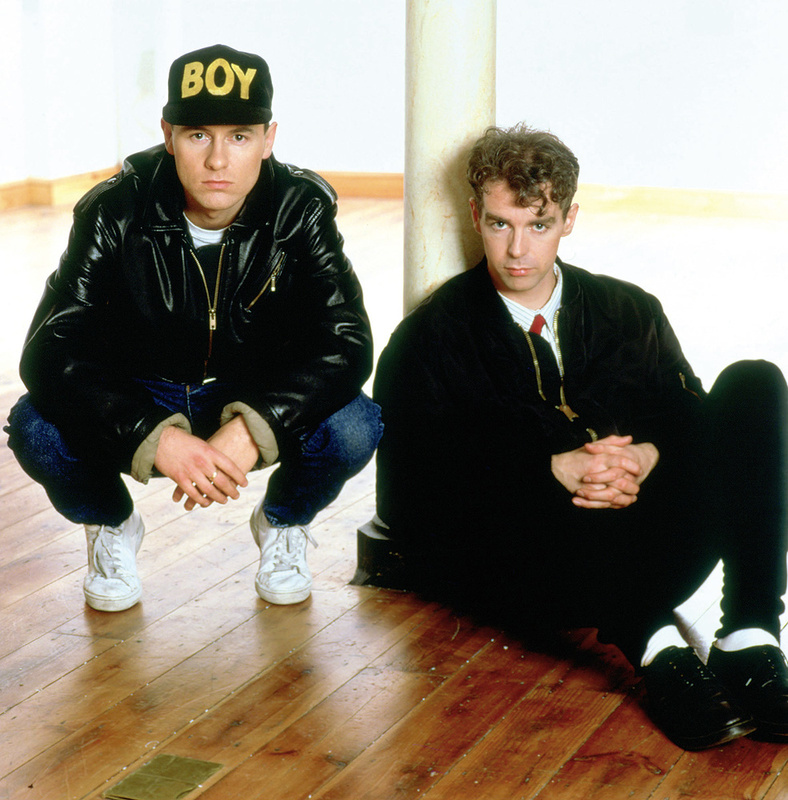 After suing Jonathan King, the Pet Shop Boys won out‑of‑court damages and donated the proceeds to charity.